Manufacturing - Ram Tool Inc.
Back in 1979, RAM Tool had a progressive approach to detail and a slogan, “When you’re in a jam, see RAM” that is a tradition that is still applied today. We are truly a full-service manufacturing facility that is your single source from start to finish. Our greatest asset over the competition is that we will keep your job in-house, maintain control over accuracy, progress, and final results. This benefit greatly reduces your overall cost and delivery time! 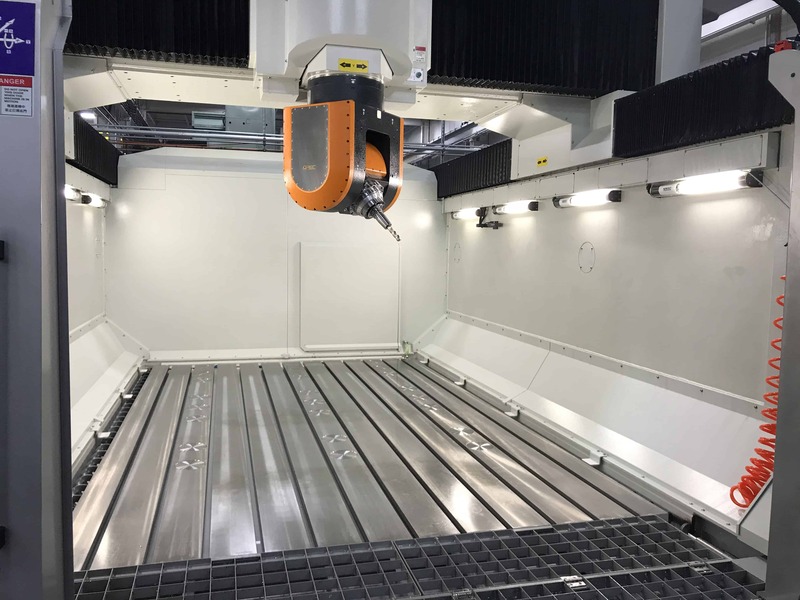 With 16 CNC Machining Centers, 7 Large Capacity, High Speed Horizontal Machining Center w/ Pallet, 9 Kuraki Boring bars, 9 Prototraks, 6 Surface Grinders, and 1 High Speed 5-Axis Pallet Machine, we have the capability to handle any job, large or small. We have the proper equipment to handle jobs as large as 20 tons with our 35 overhead cranes. Our 9 Kuraki Boring bars, 9 large Horizontal Pallet CNC’s and 12 OKK Vertical Machining Centers are equipped with 1000 PSI High Pressure Chip Blaster units for high speed machining and drilling. This allows us to drill in excess of 60 inches/minute. RAM Tool is proud to be in the Manufacturing business, having the capacity to work with LARGE Weldments and fabrications. We work with a wide variety of Parts for Manufacturing and Machining to Completed parts.